Luca Provenzano is a Ph.D. candidate in History at Columbia University. His dissertation, Under the Paving Stones, traces how police and soldiers in France and the Federal Republic of Germany redefined the tactics and material artifacts used to manage demonstrations in response to new styles of radical protest and public criticisms of state violence after 1968. Luca’s broader research interests include the history of political violence; histories of democracy; and French intellectual history. Luca is currently an instructor in Contemporary Civilization. He was a 2018 recipient of the DAAD research fellowship, the 2017-2018 Columbia selection for the Columbia/Sciences Po Ph.D. exchange programme and a 2015 recipient of the Alliance Call for Doctoral Mobility. He has been a member of the Institute for Comparative Literature and Society since 2013. 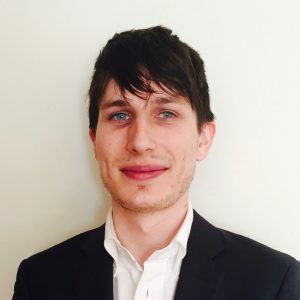 In addition to his dissertation research, Luca has taught post-war and 20th century Western European, central European, and Russian history. He was a co-organizer for the Columbia President’s Global Innovation Fund History Department grant in 2013 and served as a graduate student co-organizer and contributor to the Foucault 13/13 series stewarded by Bernard Harcourt and Jésus R. Velasco in 2015-2016.